"My goal is to win and bring home a gold medal." That&apos;s what quotes in press releases always say. 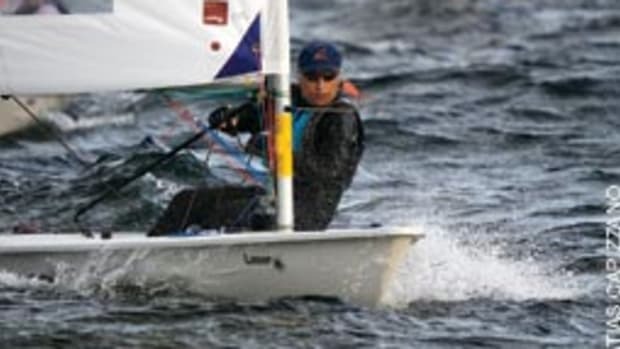 So when one of them put those words next to Erika Reineke&apos;s name prior to the 2010 Laser Radial youth world championships in Largs, Scotland, I simply flushed it. However, when Reineke, then just 16, steamrolled the world&apos;s best sailors in her age bracket, she had my attention. At first, she admitted, the title felt surreal. "I was like, wow, I can&apos;t believe I just did that," she says in a video interview. But it was redemption for what she saw as a measly bronze medal she&apos;d won 10 days earlier at the International Sailing Federation&apos;s youth world championships in Istanbul. "I had a second chance in Largs to try and achieve what I did not get done in Turkey," Reineke said afterward. 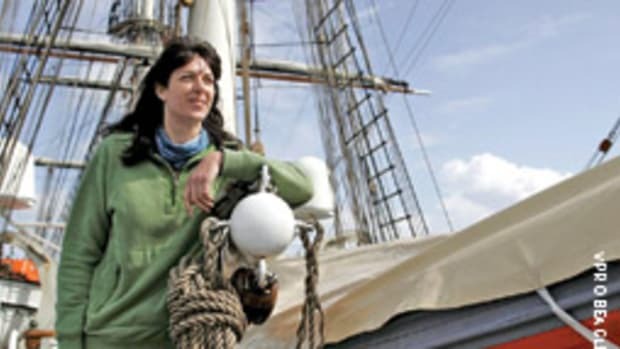 Doing so got her some press and a nomination for Rolex Yachtswoman of the Year 2010. It&apos;s a common thread in her young career that will take her far if she keeps it up. Before her meteoric rise, Reineke was cutting her teeth in the Optimist, like hundreds of other kids. Unlike most of them, she made a smooth transition to the next level. "She was successful right out of the box," says Luther Carpenter, US Sailing&apos;s Olympic coach, who noticed her at the 2009 Laser Radial North American women&apos;s championship in Fort Lauderdale, Fla. That&apos;s where Reineke, who turns 18 in April, lives and trains under the guidance of Brad Funk, a top U.S. dinghy sailor who&apos;s married to Laser Radial Olympic gold medalist Anna Tunnicliffe and is pursuing a 2012 Olympic bid in the Laser. "She was an Opti grad with a ribbon in her hair," Carpenter remembers. "But after two days she was neck and neck for the lead with Anna [Tunnicliffe]." In the end, Reineke took third. "She has important natural skills. She&apos;s feeling the boat," Funk says. "She&apos;s very receptive, and she&apos;s motivated and determined." He thinks Reineke might be further along in some aspects of sailing than his wife or Paige Railey, the top U.S. Laser Radial sailor, were at that age. But he also sees the limitations of her 5-foot-7 frame, which carries slightly more than 130 pounds. "She&apos;s still somewhat disadvantaged because she has to depower in medium air." That didn&apos;t matter at her first international Laser race in Kiel, Germany, in 2009. Unknown, unheralded and unfazed, she posted a 15th overall in her first World Cup. "It was light, and I got lucky, I guess," Reineke remembers with a shade of self-deprecation and a giggle. She added a second at the Laser Radial Youth Europeans (and a first in the under-17 category). On the podium, draped in the U.S. flag, she listened to the national anthem. She "got it done" and began to sense the possibilities. 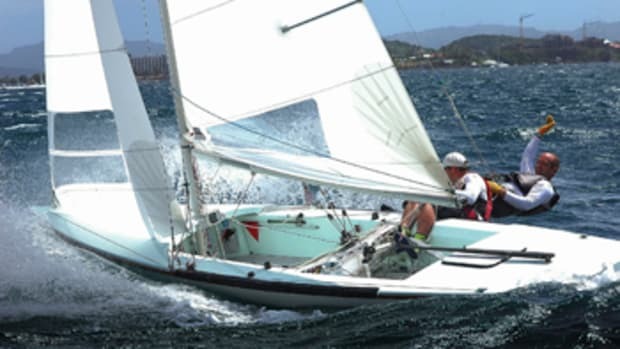 But she hasn&apos;t forgotten the rocky road from the bottom of the Opti ranks to national titles in 2007 and 2008. "I got hit in the head by the boom, and I was scared," she says. "I hated it. I was always in last, but my parents forced me to stick with it." 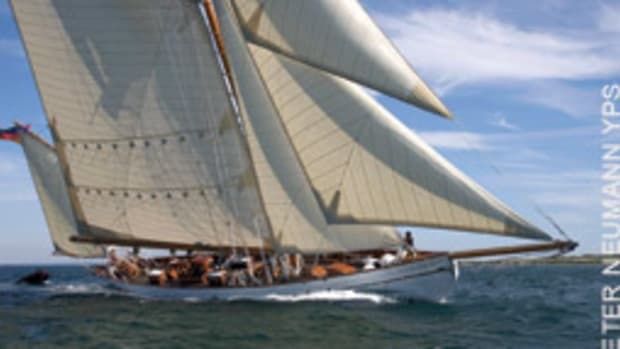 Her father, Fred, a pathologist who is from Missouri, and her mother, Sharon, an interior designer from New Jersey, don&apos;t sail, but they own a 21-foot Boston Whaler and are members of the Lauderdale Yacht Club, which has one of the top youth sailing programs. As her biggest boosters, they nudged her along. "She did different sports, like swimming and soccer," Sharon says. She also tried dance and piano but wasn&apos;t going to be an imposing striker or a dainty ballerina. "We thought we needed to pick something different and let her try harder." Sharon&apos;s a true sailing mom, multitasking as manager, bus driver, fundraiser and public relations contact. She thinks Erika&apos;s resilience comes from her combined German, Polish and Sicilian heritage. "They never let me quit without fully trying," her daughter notes. "It was a good lesson, and I grew to love sailing." Erika&apos;s younger sister, Sophia, 12, who&apos;s sailing Optis, is cut from the same mold. It took about five years before Reineke tasted success. "At 13, something clicked, and she got it," her mother remembers. Erika barely made the U.S. team for the 2007 Optimist Meeting on Lake Garda in Italy, but she finished a solid 44th among 560 boats. It was her coming-out party. Today she maps her goals on a whiteboard and uses a poster of Anna Tunnicliffe with her gold medal as a visual reminder of what she wants to get done. Prodigious talent and all, "she worked her tail off to get where she is," notes Ben Williams, one of her former coaches at the Lauderdale Yacht Club. "She switched her thinking from concrete to abstract earlier than most, but what really stands out is her work ethic and the ability to adapt." On average, Reineke sails more than 20 days a month, not just Laser but also 420s on the sailing team of her high school, St. Thomas Aquinas. Her schedule doesn&apos;t allow much partying, sleeping in or hanging out. "I don&apos;t really watch TV that much," she says. However, she loves music. "My favorite is probably reggae and hip-hop." She likes the song "Youth of the Nation" by P.O.D., an emblematic choice for someone who&apos;s getting ready to carry the torch some day. "I don&apos;t think I&apos;m missing out," she insists. "I find many friends in foreign countries. It&apos;s a trade-off." One she doesn&apos;t want to trade is Audrey Wright, her 420 crewmember and best friend since kindergarten. "When I&apos;m down on myself, she cheers me up. Sometimes I wish she was there with me," Reineke says. Wright knows her better than most. "She does things effortlessly and is wonderful to be around. She never gets angry or frustrated; she brushes off a bad race and concentrates really well. She&apos;s also modest, [but] many of her friends don&apos;t get it." Paige Railey, one of the stars of the U.S. team, gets it. "Erika is blessed with natural talent," she says in an e-mail. "She&apos;s been very refreshing to sail with, [and] she is able to push us older girls." Railey likes Reineke&apos;s "positive and bubbly attitude." They&apos;ll see a lot of each other after Erika&apos;s promotion to the top-tier squad, the US Sailing team AlphaGraphics. It was another smooth transition to the next level. "Everything&apos;s more serious now, I guess," Reineke says without worry, knowing that as the youngest among the U.S. Olympic hopefuls she&apos;ll learn from the best. 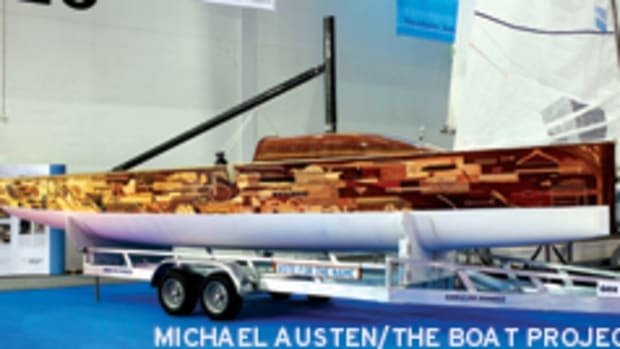 "The youth worlds should be her top goal this year," Carpenter says, "learning to win on a world level and racing the competitors who will be with her for a while." And Reineke still has some distance to go, as her 20th-place finish at the Miami Olympic Class Regatta proved. "My goal was the medal race, but I didn&apos;t get the results," she laments. She needs to put on some pounds as she adjusts from the youth level to the senior level. "These girls make no mistakes. They are more physical and hard to catch." At times, Funk says, he&apos;d like to slow her down to give her more time. "I did it to my wife," he remembers. "[Anna and Erika] are alike. Both want to get really good really fast." forward, "getting it done." 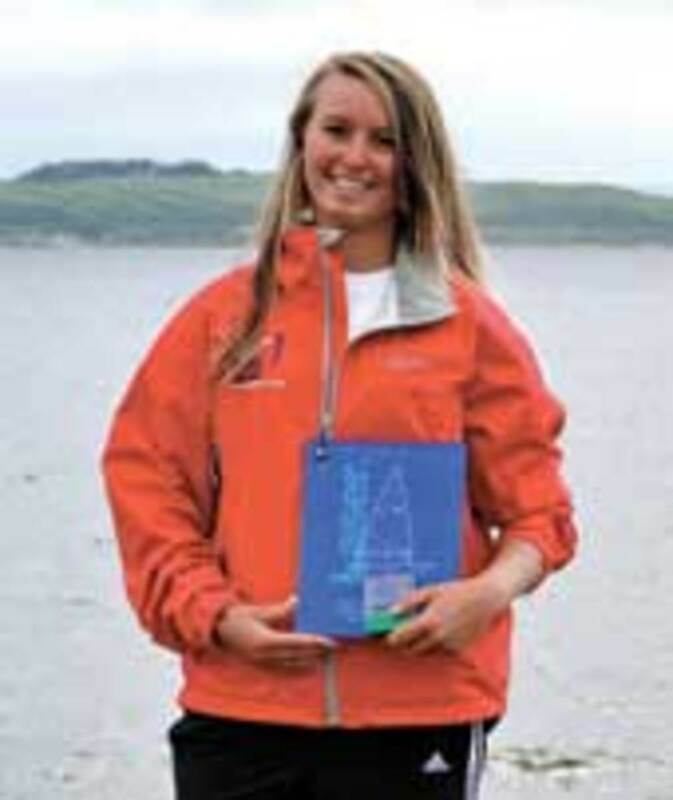 At the 2011 Women&apos;s Laser Radial North Americans in February she took fourth overall and finished second among North Americans behind the winner, Paige Railey. Reineke beat the world&apos;s No. 1, Marit Bouwmeester of Holland. Her biggest assets, she thinks, are focus and execution. "All the rest is just distraction." And with her trademark giggle she adds, "like high school." When she&apos;s not sailing or cramming to keep good grades, Erika inevitably gravitates to the water, wakeboarding or boardsailing. Quite logically, her favorite movie is "Surf&apos;s Up." Erika&apos;s mother says she gets startled by dolphins that leap close to her boat, but there&apos;s no place she&apos;d rather be. "When I&apos;m on the water, I&apos;m in a different world," Erika says. "It&apos;s a gateway to heaven." Heaven is a great place, but to get there, you gotta learn to lose first. Which brings us back to Istanbul, Largs and redemption. "After Turkey I was upset with bronze. I saw no reason why I should not be No. 1," Reineke says. "In Scotland I wanted to win, and I wanted to win by a lot." Only when pressed does she allow that "getting bronze in Turkey wasn&apos;t so bad," considering that she was a tiebreak away from thankless fourth place. But she&apos;s past that and on to the big leagues, where "to win and bring home a gold medal" remains her goal. Olympic medals are precious currency, so it won&apos;t be a picnic, but Reineke is on a mission to "get it done." Stay tuned. Dieter Loibner is sailing editor for Soundings.